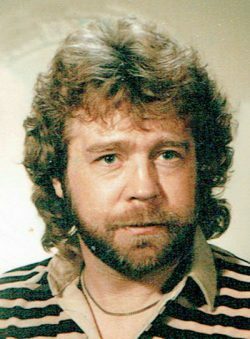 Dennis E. “Dennie” Moore passed away on the evening of November 24, 2016 in Danville, Pennsylvania. As one of the early importers of Maico motorcycles and an enthusiastic supporter for the Maico racing team in the early 1970s, Dennie was one of a small number of men and women who spurred on the “motorcycle boom” in the United States, and who helped popularize motocross into the sport it became. Following a stint as a submariner in the US Navy, Moore worked for sporting goods distributor Aurand’s for Sports (AFS), and, as part of that job, marketed Hodaka motorcycles throughout Pennsylvania in the mid 1960s. Since coming home, Moore had caught the “motorcycle bug” (and would later become a professional competitor in motocross and flat-track). While running his homemade Hodaka road racer at Daytona Bike Week in 1968, Moore noticed a peculiar blue sporting motorcycle, displayed by distributor Frank Cooper of California—a Maico 360—and convinced his boss to take on the Maico line. When the boss lost interest, Moore was allowed to distribute Maico himself, and, building on his success with Hodaka, soon set up Eastern Maico Distributors in Reedsville, Pennsylvania. Moore purchased his first container of Maicos with a loan cosigned by his father, and had them sold before they reached his offices. By 1971, Eastern Maico had distribution rights to all states east of the Mississippi. Moore’s assistance to the Maico racing team was in part responsible for the brand’s stunning race results in the 1972 Trans-AM series, during which time Swede Ake Jonsson won 9 of 11 races. 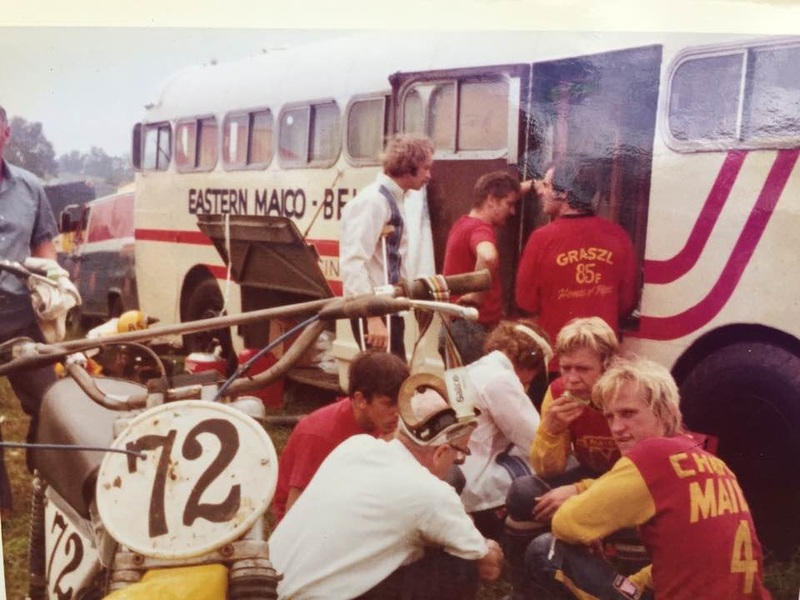 In the weeks prior to the series, from 1970 through 1973, the Maico team “caravan” could be found camping on the grounds of Eastern Maico, and making side trips to Gig Hamilton’s H&H Cycle in nearby Osceola Mills, preparing the motorcycles that made motocross history and readying Moore’s tour bus, the “Great Kahuna.” Luminaries in the Maico caravan included riders Ake Jonsson, Adolf Weil, Willi Bauer, Gerrit Wolsink, Gary Chaplin, Bob Harris, Bryan Kenney, and Jimmy Weinert; and Selvaraj Narayana (Maico race shop manager and future KTM executive). Besides partnering with Wheelsmith Engineering on the design and distribution of high-performance parts for Maicos, Moore also founded American Sport Racer (ASR). 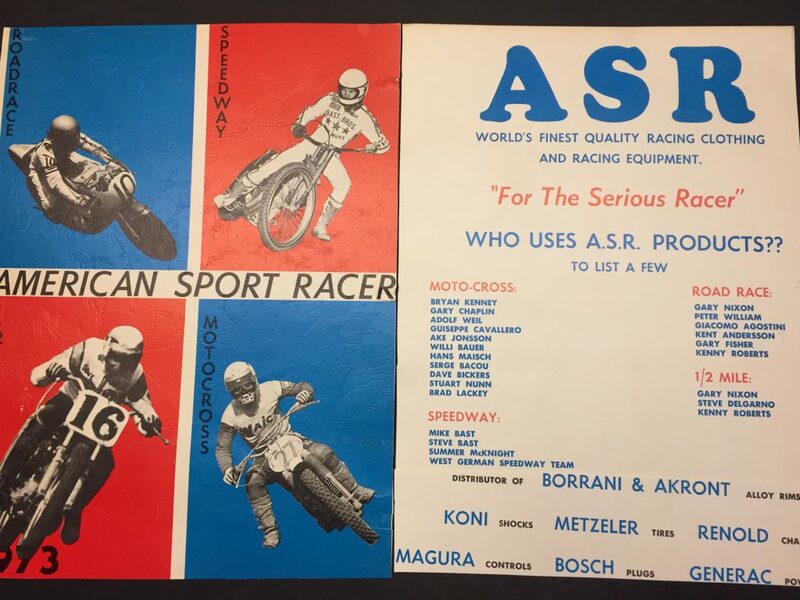 ASR produced racing apparel and accessories, and helped evolve the look of American dirt riders from the black-leather-and-engineer-boot aesthetic to the colorful “European” look of motocross’s glory years—with purpose-built boots, gloves, and other protective gear. A suspicious automobile accident in Poland in 1973 left Moore partially incapacitated, with memory loss, and unable to work for years to come. Finally, the Maico factory’s machinations to replace the present United States distributors and assume the profitable North American distribution for themselves, left Eastern Maico without a product to sell in late 1973, and bankruptcy followed. [i] Moore never gave up, though, and proved himself an incredibly tough man in many ways. Dennie started American Sport Racer (ASR) as another means to market motorcycle gear. Dennie and ASR worked and collaborated with the better-known Wheelsmith Engineering to develop some of their products jointly. Dennie Moore is survived by his wife, Donna Moore; three daughters, four grandchildren, and two brothers; and many friends and acquaintances who remember a remarkable—if sometimes irascible—American original. Thank-you, Dennie! [i] German Maico’s replacement of its American “motorcycle men” distributors in the critical US market with German non-riding executives stands as one explanation for the company’s withering in the later 1970s, and ultimate failure in 1983. This entry was posted in Dennie Moore and tagged Dennie Moore, Eastern Maico Distributors. He was a great personal friend; very honored to know him!